The Ambassador of the Republic of France to Bosnia and Herzegovina Guillaume Rousson has been on this duty since June 2017. He says that he had been in Bosnia and Herzegovina several times in his previous duties and that he had already recognized the identity and charm of our country. 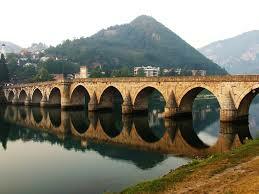 ST: France was one of the first countries to recognize Bosnia and Herzegovina as a sovereign country back in 1992. How would you describe bilateral relations back until 2000, and bilateral relations with France nowadays, in 2019? Is the change evident and in which areas? “It is true that France has been very involved in Bosnia and Herzegovina since its independence. We were actually the first country to send a resident ambassador to Sarajevo, at the beginning of 1993. Among the countries participating in peacekeeping operations, we also suffered the heaviest losses. More than 80 French soldiers gave their lives to these efforts,” H.E. Rousson begins the interview with Sarajevo Times. The situation today is of course very different, because the needs have changed. Bosnia and Herzegovina has now been at peace for 23 years. In 2000, France’s presence was still primarily military. “Nowadays, our activities focus on political and technical support to Bosnia and Herzegovina, especially in the context of the EU candidacy. We do not only cooperate with state authorities, but also with entities and cantons, municipalities, public agencies and universities, as well as civil society organizations,” H.E. Rousson said, adding that the embassy recently supported the training of volunteers for European Youth Olympic Festival (EYOF), and that the embassy is currently leading several initiatives with French experts in the justice system. Continuing on the activities of the Embassy, H.E. Rousson says that in February, they will celebrate the first anniversary of the reopening of the Haggadah room at the National museum of Bosnia and Herzegovina, renovated and made more secure thanks to the help of the French embassy. “We also have an important cultural program, with offices of the “Francuski Institut” in Sarajevo, Banja Luka and Mostar. This year, we will launch the “Week of Francophonie” around March 20th, with many partners and a rich musical, cinematographic and literary agenda,” French Ambassador explains. While answering the previous question, H.E. says that the economic and social situation in Bosnia and Herzegovina isn’t excellent, but that he believes it is still better than what it was in 2014. Growth rates have been consistent, and unemployment has significantly declined. An important part of these improvements probably owes to the Reform agenda, even if it has only been partially implemented. However, H.E. Rousson considers that it was clearly not enough to bring the positive changes that citizens of Bosnia and Herzegovina require. “I’m particularly worried to see so many young and qualified people leaving the country because of a lack of opportunity and a general frustration with corruption and political bickering,” H.E. highlights. For the economy of Bosnia and Herzegovina to bring more prosperity to this country’s inhabitants, while at the same time getting closer to European standards (most notably in the area of the rule of law), the new authorities will need to implement more ambitious reforms. It will be one of our priorities in the following months. ST: It is evident that in certain parts of BiH the phenomenon of Euroscepticism is present. In your opinion, does BiH have an alternative to European integration? How about NATO? “I hear the hopes, but also sometimes the disappointments voiced by many citizens of Bosnia and Herzegovina when it comes to the European Union. I understand that there is some impatience. I can only share my conviction that Bosnia and Herzegovina’s place is in the EU. President Macron also clearly said that the EU should welcome all the Western Balkan countries when they are ready, and when the EU itself is ready to welcome new members. The road might still be long, because many conditions have to be met, and many reforms have to be implemented. Regarding NATO, Allied foreign ministers, including France’s, have recently declared they were ready to accept Bosnia and Herzegovina’s first Annual National Programme, which is an important step towards a closer cooperation. “The responsibility to go forward now lies with the relevant state authorities,” French Ambassador concludes. Speaking about France’s direct investments in Bosnia and Herzegovina. H.E. Rousson says they amount to around 11 million euros, however, he thinks that this figure is too low. “That’s why economic cooperation is one of my priorities as an ambassador. There have been interesting new developments in the recent few months. The French state agency for development, AFD, has decided to extend its mandate to the Western Balkans. We organized an exploratory mission a few months ago. AFD’s objective will be to identify viable projects that could help the development of Bosnia and Herzegovina, for example in the environment and infrastructures sectors. But this is still at an early stage,” Ambassador explains. Furthermore, in order to foster links between companies from both countries, French Embassy is considering the creation of a French-Bosnian-Herzegovinian business club. In the next few months, they expect an important French delegation at the EBRD annual meeting and business forum in Sarajevo. “It will be a great occasion to discuss new opportunities for investment,” H.E. concludes.